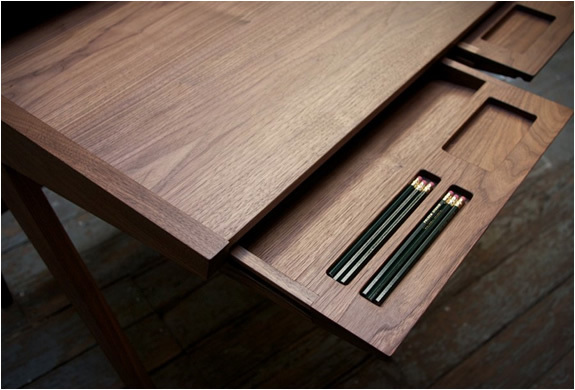 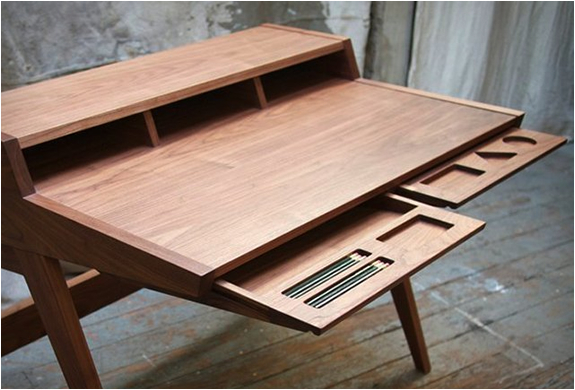 The Laura Desk is a beautiful creation by Phloem Studio, located in Portland, Oregon. 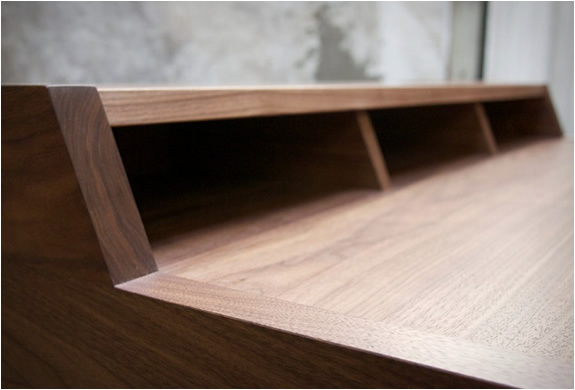 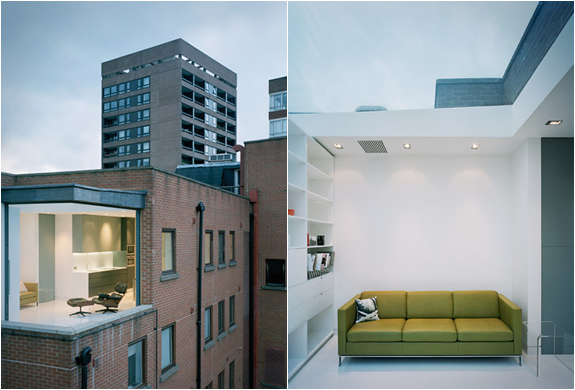 They design and build custom furniture that is both elegant and timeless. 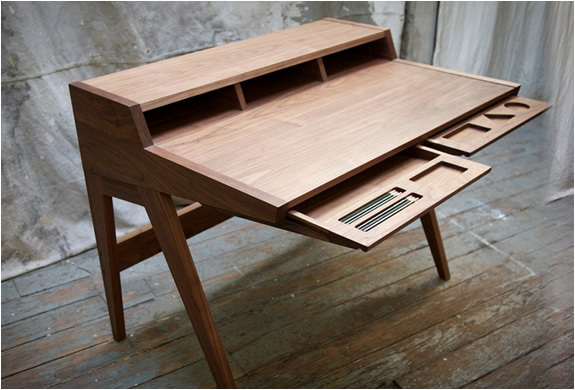 The Laura Desk is simple, functional and modern, it features three open cubbies at the back for cords, and two drawers that pull out in the front for storing small items. 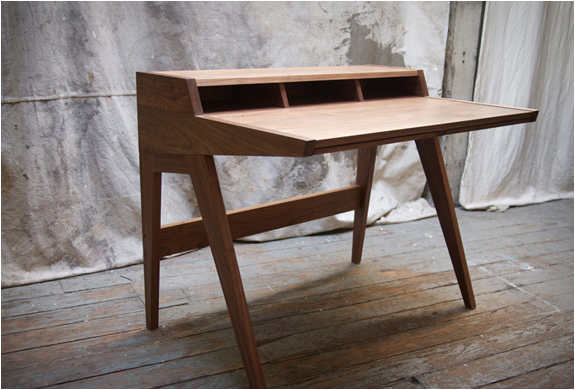 Each Laura desk is made to order by hand with your choice of wood.